Editor’s note: The story has been updated to correct the attribution of two quotes from Ramiro Diaz to Eric Olvera. Olive Mbulambo-Shamakwete, a 22-year-old college mentor from Boise State University. Three buses carrying nearly 100 students from all over the state arrived Friday morning at the Idaho National Laboratory to start the first INL Multicultural Leaders in STEM event. 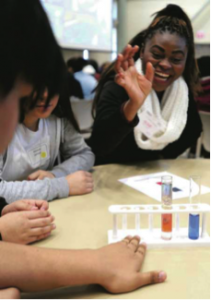 INL K-12 STEM partnered with TRiO on the event in an effort to reach out to minority, underserved and potential first-generation college students from 30 high schools throughout the state. 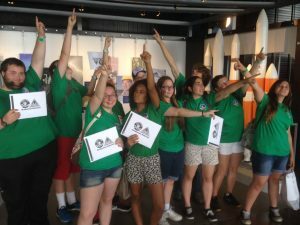 A goal of the event, according to an INL news release, was to break down stereotypes about science, technology, engineering and math careers, and connect the students with opportunities, role models and mentors to instill a passion for STEM (science, technology, engineering and mathematics) subjects. 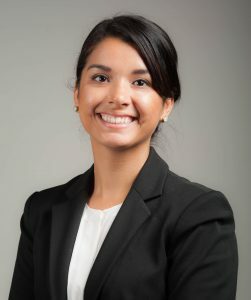 Jenny Gallegos never expected to go to law school. Or, for that matter, graduate from high school. I remember being very little — 6, maybe 7 years old — and writing things over and over so it would stick,” said Gallegos, whose own parents had quit school after the fourth grade.